Thanks to advancements in technology in the past few decades, it has become much easier for seniors to continue to live at home past retirement. With just a few adjustments to make their home more accessible, your elderly relative can live in their accustomed fashion. Here are some ways they can age gracefully at home. Demographic experts say that the number of seniors will more than double over the next decade, and most studies say that nine out of 10 seniors would prefer to live at home. Just over 60 percent of seniors wished to live with family, while a quarter were comfortable living on their own. Having a home is linked to feelings of independence, self-sufficiency, and self-esteem. 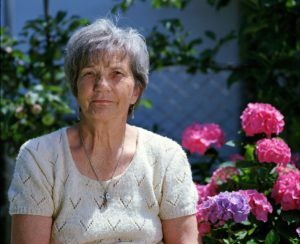 For some elderly people, they may have lived in their particular home for decades, with a supportive community of friends and long-standing habits. That is the ideal situation, as independent living still requires a certain amount of support from family, friends, or neighbors. While many changes, like impaired hearing and vision, slower mental processes, and decreased mobility, tend to be regularly experienced across demographic lines, the aging process is not easily defined — some seniors remain spry as ever into their 70s. When adding accessibility options to your senior’s home, ask yourself how critical each modification is. If your senior is unable to move without a walker or a wheelchair, it is very important to build a ramp leading up to their door so that they will be able to get in and out of their home without assistance. Still, know that there are several rooms in the house that are statistically most likely to cause injury in seniors — bathrooms are first on the list by a significant margin, followed by bedrooms, kitchens, and stairs. In general, having help around the house for daily tasks can greatly reduce the risk of injury. The bathroom is an excellent place to start your accessibility remodel. Walk-in tubs provide many safety features, including railings, seating, and non-slip floors, which can help your senior’s stability and prevent a fall. On the downside, they’re more expensive than a lot of other safety measures and must be installed by a professional, which adds to the cost even more, making walk-in bathtubs a difficult project for those on tight budgets. Chair-height toilets are useful to help support aging muscles (lift chairs are even available to make sitting down effortless). Tile can become slippery, so non-slip mats or even carpet can help create a more stable surface for them to comfortably walk. Finally, small adjustments to the height of their sink, counter, and toilet can make drastic differences in their ability to take care of themselves. Another easy way to make a house more accessible is to install railings wherever they’re necessary. To know for sure where they should go, spend a day with your senior citizen and notice if there are any parts of the house that are more difficult to navigate. Seniors often have difficulty focusing in low-light conditions, so upgrading the light fixtures and lightbulbs in their home to bright LEDs can make each room safer. Finally, encourage them to establish habits that will keep them safe. For example, remove all loose rugs from the floor, and have them keep a flashlight and walking aid by their bed if necessary. Of course, if making their home more accessible is not an option, it may be time to move. This doesn’t mean they have to move to a senior care facility or nursing home — it may simply mean that it’s time to move to a more accessible house. You can search online by using filters to narrow down the list of houses to senior accessible homes in your price range. Use a checklist to make sure you find what you’re looking for. Seniors take great joy in living in their own house. You can help them by making independent living possible through accessibility upgrades. In the long run, independence will boost senior citizens’ self-worth and overall sense of happiness.